*Vogue's "Most Anticipated Books of 2019"
*Entertainment Weekly's "One of January's Hottest Reads"
*Literary Hub's "Most Anticipated Books of 2019"
*Southern Living's "Best New Books Coming Out Winter 2019"
Though the two women live just a few doors apart, a chasm lies between them. The actress, a celebrity with a charmed career, shares a gleaming brownstone with her handsome husband and three adorable children, while the recently separated narrator, unhappily childless and stuck in a dead-end job, lives in a run-down, three-story walk-up with her ex-husband's cat. As her fascination grows, the narrator's hold on reality begins to slip. Before long, she's collecting cast-off items from the actress's stoop and fantasizing about sleeping with the actress's husband. After a disastrous interaction with the actress at the annual block party, what began as an innocent preoccupation turns into a stunning—and irrevocable—unraveling. 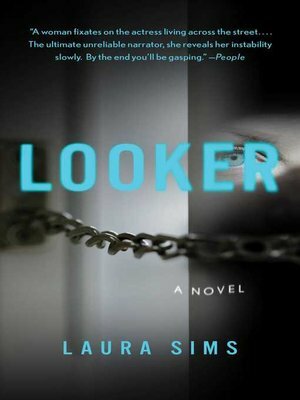 Immersive and darkly entertaining, Looker is a searing psychological portrait of obsession.